One of the most enduring fallacies in politics is that liberals love victims. In reality, they show very little compassion for genuine victims, like victims of violent crime, for example, or victims of Communist dictatorships. Liberals only love those whom they imagine have been victimized by the policies of their enemies. For this reason, they are instinctively drawn to phonies, whose identities they can define, and whose alleged troubles cannot be traced back to facts that liberals find inconvenient. Take the way that they look at abortion. Liberals have all the compassion in the world for fictitious women who were fictitiously killed by fictitious coat hanger abortions, but none at all for women who are factually known to have been killed by "safe and legal" abortions, let alone for the completely innocent children who are dismembered and killed in the womb. Consider, also, the issue of torture. Liberals have shown lots of outrage over dubious accusations of torture leveled by anonymous terrorists being held at Guantanamo Bay. On the other hand, the countless victims of actual torture meted out by Saddam's government have gone virtually unnoticed by congressional Democrats and the liberal media. A fake victim does not necessarily have to be a fake person. It can also be a real person, with a fictitious tale of victimization. Anita Hill, for example, did not need to have suffered any real injury in order to qualify. All she had to do was to say that she’d felt harassed by Clarence Thomas, and that was reason enough for liberals to accept her as a victim. Whereas liberals made the fake victim Hill an icon of the feminist movement, they've had nothing but scorn for the many women who were genuinely victimized by Bill Clinton's "bimbo eruptions" intimidation campaign. Since the true stories of actual victims don't tend to fall neatly in line with the liberal narrative, they are seldom found to be useful. Using a real person as a fake victim has its risks, however. Remember Winifred Skinner, who was supposed to serve as an example of the people liberals tell us are "forced to choose between food and medicine." At one of the 2000 presidential debates, Al Gore explained that Skinner had to pick aluminum cans out of other people's trash every day, so that she could afford her prescription drugs. Then, he unwittingly undercut her story by adding, "She came all the way from Iowa in a Winnebago with her poodle in order to attend here tonight." Suddenly, nobody worried about where her next meal was coming from. That's what makes Valerie Plame such an ideal candidate for fake victimhood. Since the source of her victimization is the fiction that she’s an outed covert agent, it is important for her to remain silent. She couldn’t very well maintain her illusion of secrecy while mounting an overt public relations campaign. Therefore, her public identity consists of a name and a face, and little else. There’s no Winnebago or poodle to get in the way. The Valerie Plame that America is allowed to see is no more complex a character than Nell, from the Dudley Do-Right cartoons. This made her an ideal distraction from the antics of her husband, former ambassador Joe Wilson. Upon his return from what was ostensibly a fact-finding mission to Niger, Wilson falsely accused President Bush of lying about Saddam Hussein's efforts to buy uranium. As Wilson's story began to fall apart, the president's critics needed to change the subject. Happily for them, columnist Bob Novak's scrutiny of Wilson's story revealed that he had been recommended for the African mission by his wife, "CIA operative," Valerie Plame. Although Plame was only an analyst, and not an undercover agent, Wilson and his liberal allies reacted with hysterical worries that her life was endangered by having her cover blown. Moreover, they characterized it as an act of presidential retribution against the "whistleblower" Wilson. 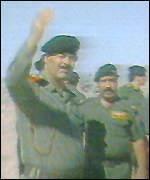 It no longer mattered whether Saddam Hussein had sought to reconstitute his nuclear program. Nobody could concern himself with matters half a world away, when the more immediate crisis was that poor Nell was being tied to the railroad tracks by the sinister Snidely Rove. This brings us to another reason why liberals love fake victims, which is that their creation requires fake heroes to come riding to their rescue. In a party that says it's patriotic to leak our wartime secrets and accuse our soldiers of atrocities, such characters are in abundant supply.